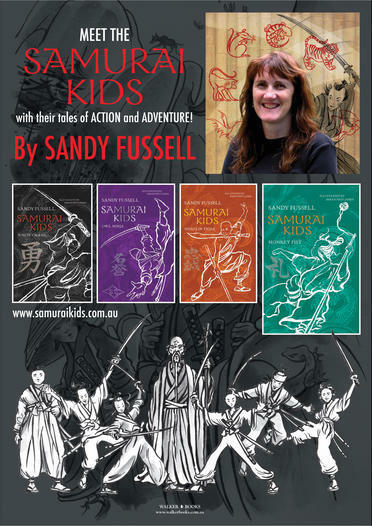 Sandy Fussell is the author of fourteen children’s books including the best-selling Samurai Kids series. Her first book, White Crane, won an IBBY award and her second book, Polar Boy, was CBCA-shortlisted. 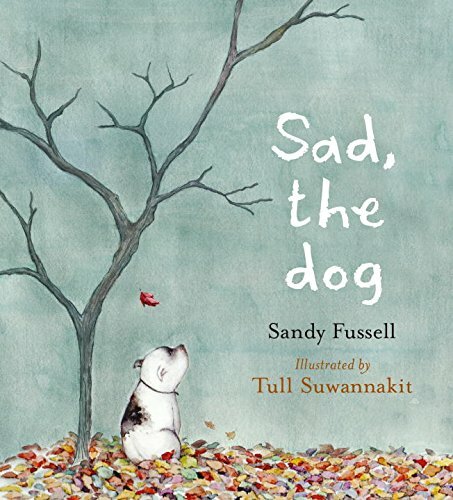 Sad, the Dog is her first picture book, published in October 2015. Sandy is an ICT consultant, book reviewer, technology blogger, in-schools Literary Festival Coordinator at The Story Crowd and one subject short of a Maths degree. 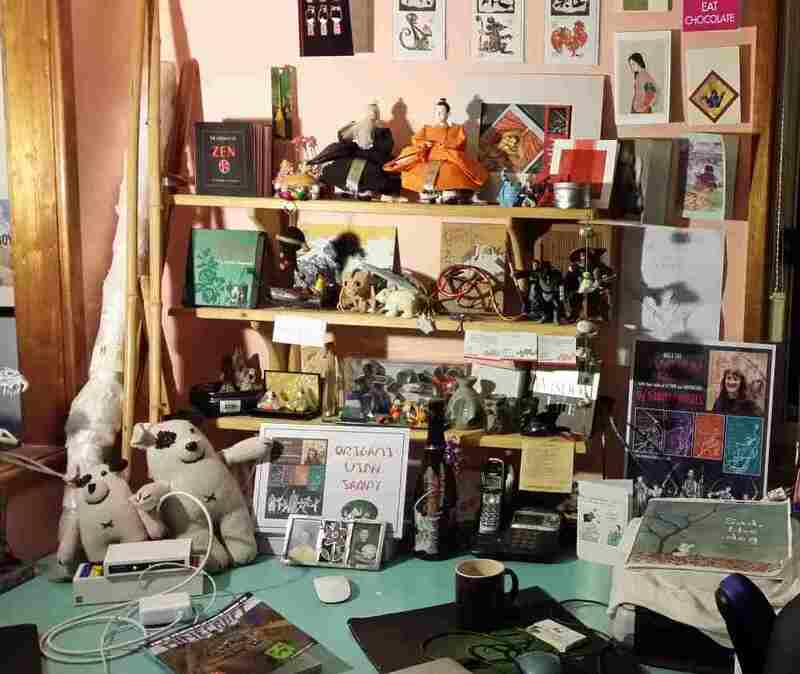 She also curates Read, Write, Draw showcasing the talent of Australian authors and illustrators. Accidentally. As a high school student I wrote plays the class performed, had a poem published in the Canberra Times and won third prize in a Commonwealth-wide essay competition. So the love affair with words was always there although I never considered writing fiction. I studied Mathematics at Uni and worked in computing. But I’ve always loved reading – avidly and obsessively. When #1 son was 10 he stopped reading because all books were boring, so we decided he’d write a story to show me what was interesting. Each night he dictated and gradually the plot grew more random. It was based on six school friends. Characters died terribly and came back to life without explanation, aligned with playground arguments. The lead character disappeared when he decided he didn’t like girls anymore. I gave so much interfering advice he sent me away to write my own book. At 46, I discovered what I wanted to do – write for children. I discovered (again accidentally) that I lived (at the time) near children’s book industry powerhouse Di Bates, who invited me to workshop with her and her husband, Bill Condon, and a friend, Anne Whitehead. I learned fast with such brilliant teachers. Di encouraged me to present my WIP at a gathering where the about-to-become-commissioning-editor of the new Walker Books Australian list heard me read and asked to see the completed manuscript. White Crane, my first book, was published in 2008. It grew into an 8-book series, sold internationally. I’m currently working on a junior historical fiction about the Cowra Prisoner of War Camp breakout. 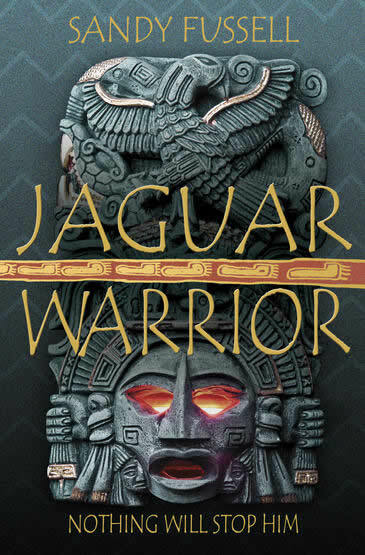 I’ve wanted to write in this setting for a long time but first I had to overcome two challenges – some of my young readers will have Japanese heritage and historically, the major players are adults speaking Japanese. This year I finally found a path through the story. Cluttered. I have a desk that I describe as an archaeology dig. Layers just pile up. It’s the side-effect of having three part-time jobs. I’m also surrounded by treasures from family and friends. These things channel my creativity, whether it’s the dolls that look like Sensei and Niya from Samurai Kids (a friend’s husband found them in Tokyo), or the Japanese pin cushion another friend gave me so I could respond to a poor review in a politically correct manner. It’s only in recent weeks that my routine has returned with #2 son back at school after 5 years of illness. Nowadays, I get up at 7am and do any housework chores before school drop-off. My route goes past the beach and heads up towards the escarpment. I live in a beautiful part of the world. It’s a great start to the morning. My day is crammed with the demands of three jobs. I support software I wrote that’s used in University mailrooms across Australia. With an author friend, Jodie Wells-Slowgrove, I manage The Story Crowd, which provides in-school literary festivals. And I write (fiction and freelance) and present in schools. I sneak in more time than I should on social media because it’s relaxing and fun! I use a range of apps to organize myself. I begin my day with a master To Do list extracted from multiple lists I keep in Wunderlist (which is always open on my desktop inside Google calendar). I use a self-designed social media planner (I couldn’t find what I wanted anywhere). I project plan in Trello. I stockpile information and ideas in Evernote. I read blogs on Feedly. And I aim to write for two hours. Before my youngest son became ill (2011), my writing process was extremely disciplined. But as his health deteriorated, I became his home school teacher and writing slipped slowly into the background. I have only recently reintroduced a routine. I attempt to set aside a two-hour block for writing every morning but that doesn’t always happen. I have a desktop “water fountain” and find the sound of running water writing-friendly. Very Zen. I use Scrivener to write, Scrapple to brainstorm and Evernote for research. I’m not a plotter. I just start writing. I waste time wandering along tangents but it’s good writing practice and I’ve discovered some of my best ideas that way. I edit as I go, which makes me a slow writer but looking back inspires me to keep writing forward. I am always amazed when my stories find their own momentum – a kind of magic – and so far, fingers crossed, I’ve never had writer’s block. I am a night owl and after dinner and family time, I work or read or write until 1am. Everyone and everything. History, philosophy and art. Colours, words and numbers. Poetry. Music. Friends and family. The ocean and the sky. Humour. Zen. Fending off the distractions of the Internet. I spend an inordinate amount of time on-line. I love information. Yesterday, I found there’s a word for that. Epitemophilia – the love of knowledge. I could happily research all morning and hang out on social media all afternoon. That once you set up a Google Account you can’t change the email user name. Because one day, when you become a published author, you will wish you used your real name instead of something stupid. I feel that being an author of stories for young people comes with a responsibility to promote reading and literacy. I spend considerable time in schools and mentor two young writers. When my first book was published I was invited to a seminar run by the Primary English Teachers Association to encourage new authors to visit schools. The convener spoke about how being a children’s author was a unique opportunity to reach out to young readers, and that the place to do this was schools. The prospect terrified me but now I love it. I believe I’m making a difference and want to extend that to more volunteer work in children’s literature as my own children grow into adulthood. My professional vision is to begin a University course next year. My greatest personal regret is that I never finished a course despite 4 attempts (my parents said no, I had children, the HECS made it unaffordable, my son became ill, etc, etc). Finally, I have time and opportunity. I’m considering a Graduate Diploma in Children’s Literature in 2016, then continuing on to a Masters program. Plus I want to learn to draw. I have a smidgeon of talent and am in awe of illustrators. Ursula K. Le Guin – the lady is a legend. Sofie Laguna – her work is so lyrical, whether it’s adult / junior fiction or picture books. 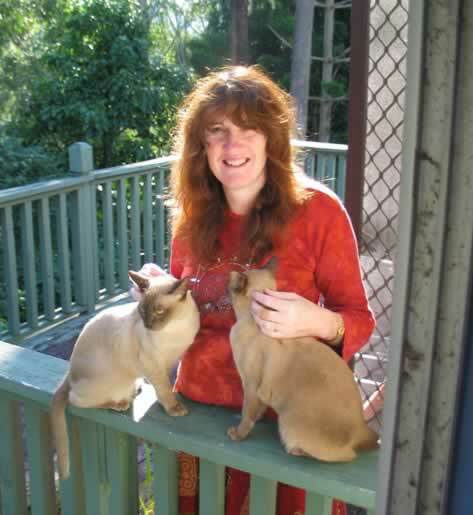 Sally Murphy – queen of the verse novel. Plus Kate Forsyth, Meg McKinlay, Gabrielle Wang, Jen Storer, Margo Lanagan, Lian Hearn, Di Bates, Juliet Marillier and Katherine O’Neal Gear. All of the above (except Kate and Sofie because I’ve read their interviews here already). NB: This is interview 2 of 4 in a special feature celebrating Picture Book Month. Susan Whelan kicked things off yesterday, and stay tuned for upcoming interviews with Debra Tidball and Jackie French! I’m so pathetic, I took one look at the cover of Sad & got teary! Great idea & beautiful illustrations. Was there a dog ‘over the back fence’ which inspired you, Sandy? It is a stunning cover, isn’t it? Grabbed my eye the second I saw it. i think kids’ books are usually so bright and graphic and this one is so subtle – makes for a striking contrast in a display. Thanks for the kind words, Carolyn. There was a dog over the back fence and it was unloved and did get passed on with the house. Lots of differences though, that I use to talk to kids about using fact to create fiction. The real Sad was a female dog named Cassie with soulful eyes and floppy ears and her new friend was a little girl called Zoe. Cassie died 8 years ago, happy and loved, and the new neighbours also eventually moved away. But they’re still in the area and Zoe is looking forward to receiving her copy of Sad. Life always turns in a circle.